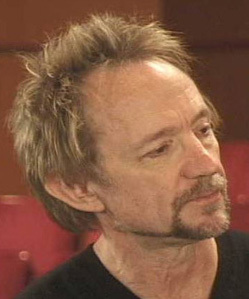 Peter Tork of the hit 1960’s comedy show the Monkees announced March 3, 2009 that he was diagnosed with Adenoid Cystic Carcinoma. This cancer is a rare form of head and neck cancer most frequently found in the salivary glands, but in Mr. Tork’s case, on the lower portion of the tongue. Tork rose to fame in 1966 as a member of the TV show The Monkees, which was patterned after the popular “A Hard Day’s Night” starring the Beatles. Tork and the three other actors recruited for the show were all members of other bands or had performed musically prior to the show. Tork was already a well-respected artist in the New York Folk and Blues scene. On their first release, the group provided primarily vocals and their premier song “Last Train to Clarksville” was a chart-topper before the show even aired. Despite their popularity, or perhaps because of it, some early detractors felt their band was inorganic or manufactured. The musical community failed to recognize their work and shunned them for not playing on their own records. After the release of their second album, “More of the Monkees” was released without their input, the group demanded control of their musical product. Soon after they released their album “Headquarters” performing all of their own music and vocals, a work that remains a favorite of many fans today. The show ran out of steam and at the end of the second season was canceled. The group struggled without the TV show for promotion and without the support of the music community that resented the fame they felt was handed to the group. Finally, the group parted ways and went on to have separate careers. True to the plucky nature of the band, they came back big. When MTV ran 24 hours of Monkees episodes in a special they called “Pleasant Valley Sunday” in 1986, the 20-year-old band was revived and popular with a new generation. Minus a member, the group went on tour and received a star on the Hollywood Walk of Fame before breaking up again in 1989. Though tongue cancers can arise in any person, it is most commonly found in patients with an extensive history of tobacco and alcohol use. It is slow growing in nature and usually treated with surgery, possibly followed by radiation and or chemotherapy. Tork’s cancer is a rarer version of oral cancer known as Adenoid Cystic Carcinoma (ACC). It is not tied to tobacco use like the others, usually arises in the salivary glands which was not Peter’s presentation, and there is less known about why it and why it can years after the first presentation, arise in other parts of the body. 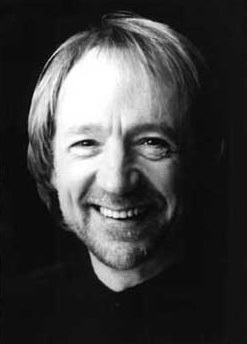 Addendum: The Oral Cancer Foundation is sad to report that Peter Tork passed away in February 2019. He will be missed by his many fans. None of the press releases about his passing mentioned the cause of death, although a recurrence of his ACC cannot be ruled out given what we know about that cancers ability to recur again after its first presentation.